The registration period for courses at the Institute of System Sciences, Innovation and Sustainability Research and the Wegener Center for Climate and Global Change starts on February 11th, 2019 and ends on February 24th, 2019. The week of assignment is scheduled from February 25th, 2019 to March 1st, 2019. 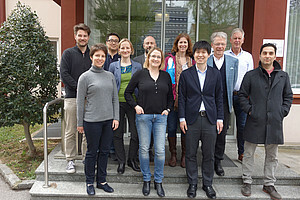 The annual cooperation meeting of the Joint International Master’s in Sustainable Development took place on April 11 and 12.